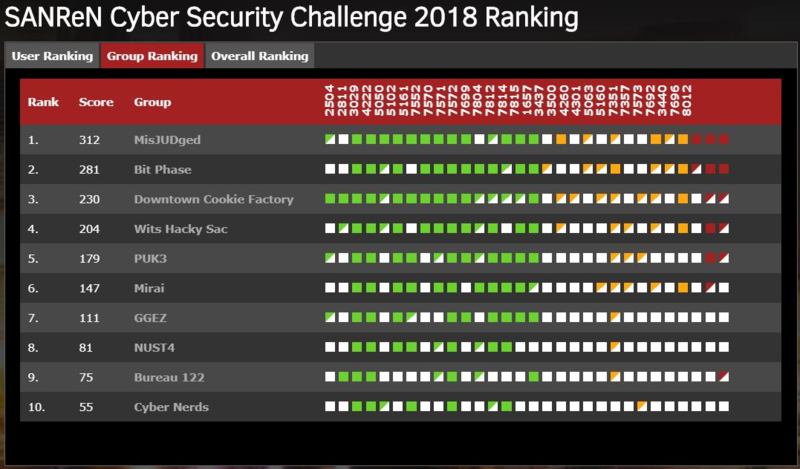 SANReN hosted its second Cyber Security Challenge during the CHPC National Conference 2018 at the Century City Conference Center in Cape Town. During the first round, students competed for placement in the final round. Over two hundred students from more than ten universities competed in the qualification round that was hosted during September and October 2018. During the final round, 38 students comprising ten teams competed over a span of four days from the 2nd to 5th December 2018. Much fun was had by the students during the competition.